New Delhi, 3rd August. Delhi BJP President Shri Satish Upadhyay has strongly condemned the ban imposed on holding of demonstrations outside Chief Minister Residence by the S.D.M. of Delhi Government. Shri Upadhyay has said that this must be first time since Police Commissioner system came to Delhi that an S.D.M. of Delhi Government has imposed such a ban. It seems the ban has been imposed through S.D.M. 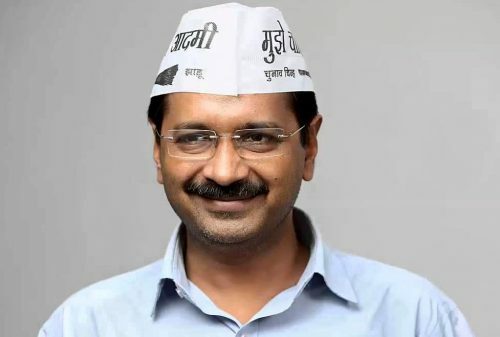 as the Autocrat Chief Minister Arvind Kejriwal is in no mood to tolerate any democratic demonstration or protest against him. Shri Upadhyay has said that it is really shocking that such a anti democratic step of banning demonstrations has been taken by a government whose head once staked his government to demonstrate & obstruct the nation’s republic day function. The way today Kejriwal government has used its S.D.M. to ban democratic demonstration against his government soon we may see the C.M. forming his own security police force.